The paper proposes a new practical two step approach towards higher knowledge work productivity. Step one is based on a Knowledge Intensity Matrix adapted from Porter and Millar and allows for an assessment of the relevance of knowledge work for a particular company or strategic business unit. 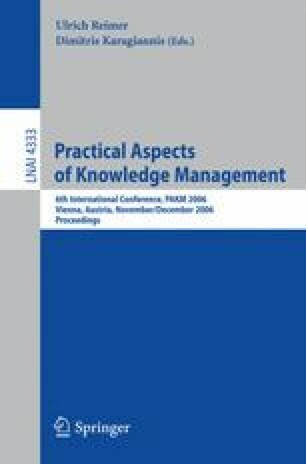 Step two identifies work effectiveness — rather than efficiency — as the decisive factor of knowledge work productivity and takes up Willke’s systemic understanding of knowledge management to propose a process oriented analysis of knowledge work effectiveness, which results in suggestions of how to increase knowledge work productivity.